Organizing a meeting, getting together with friends and colleagues and working… it’s all possible in the Lumen Events Meeting Centre in Zwolle. In the surrounding of the central event square are meeting rooms situated that can be linked together as desired. Different types of rooms offer different atmospheres. You can combine business, sports and pleasure when you hold a meeting at Lumen Events. 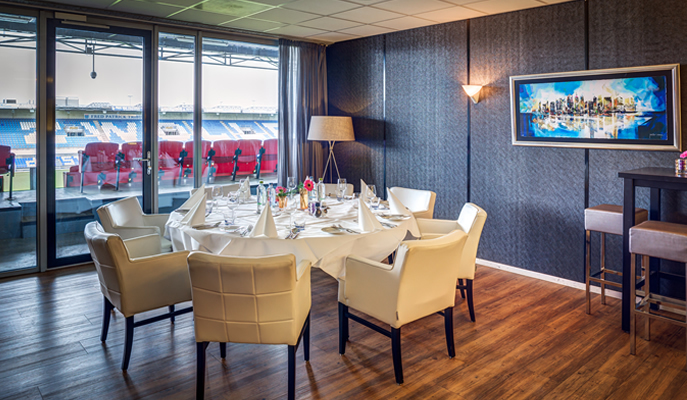 Meeting, conference, presentation, convention or party in Zwolle? Lumen Events can host both intimate and large-scale gatherings. You can choose to use the facilities at the Lumen Event Centre facilities for a half day or for an entire weekend, everything is possible. 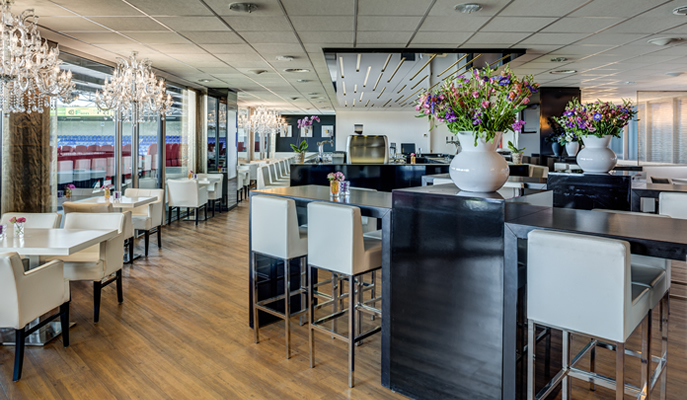 Lumen Event’s skyboxes offer a capacity from 2 to 60 guests and are fitted with their own bar and view on the main field of PEC Zwolle. You can hold your gathering both indoor and outdoor on the stands, whilst being entirely catered to, of course. Lumen Events is ideal for every meeting up to 2000 people. You can contact us without any obligations to discuss the options. Lumen Events has four beautiful and atmospheric businessclub lounges. The businessclubs each have a capacity of 500 people, the Business Loge up to 150 people and the Business Loge Plus up to 80 people.